Whether you’ve never grown cannabis before, or you’re a master grower, there’s always plenty more to learn. There are many online resources where you can find ways to improve your grow by learning from others. There are many striving online communities discussing all aspects of cannabis culture and cultivation. We’ve personally used these resources to develop our products and services. You may find many of them helpful yourself. We wanted to put together a little list of places you can visit to help fuel your learning about the cannabis plant. CLN is an amazing blog based out of Vancouver, British Columbia. Their website contains many articles on all sorts of topics about the cannabis lifestyle and industry. It’s an amazing source for learning about what’s happening in the cannabis scene, with a spotlight on Canada. They also have a very good youtube channel covering those same topics. A HUGE resource on strains, growing techniques, grow guides, and cannabis culture. Their forum is also very active and a great place to ask questions concerning your grow. They also sell seeds from their base in Amsterdam. 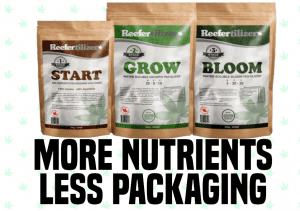 Their founder Robert Bergman has been growing cannabis for over 25 years. If you’re familiar with Reddit, you already know how amazing of an online community it is. They have several sub-reddits about cannabis, but microgrowery is the biggest and most active one concerning cannabis cultivation. It’s a fantastic spot to ask a question and quickly get answers from many types of growers. 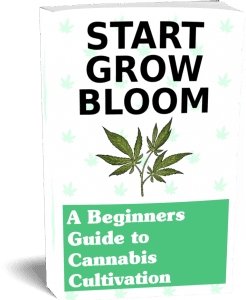 They have several grow guides, as well as a section for helping beginners find everything they need to start growing themselves. Right here! Our blog is continually creating articles to answer our users questions. Hey it might be a selfish plug, but together we can help remove the stigma on cannabis and make it easier for people to grow their own. Our main goal is to make it easy for beginners to learn to grow cannabis and to make that starting point something fun and adventurous! What online resources do you use to learn about cannabis? Comment below and we can grow this list and make it even better!